My name is Mankamal Singh. I was born, raised and live in Ilford. I did go to University in Leicester and lived there during that period, but otherwise, my base has always been Ilford. A. I was one of those individuals who fell into Accounting and Finance after leaving University and 20 years on I am still working in that field. I started my career in one of the ‘big 4’ and have moved around many different industries since then. In 2004, my life took a very different course when I was blessed to receive Amrit. That was the beginning of a whole new chapter in my life. A. I have a daughter who is 16, a son who is 14 and my youngest son is now 12. What can I say, they are well-grounded kids, they make me proud and they still think I am cool. So I can’t complain. They are a blessing. Q. 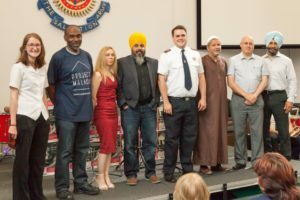 You are the Co-founder of a Sikh faith school in East London? How did that come about? Why is it important for parents to enrol their children in a faith school? A. We are a community with a local presence in East London for over 70 years. Sikhs make up a sizable proportion of the local demographics, yet in those 70 years we had not set up a Sikh faith School. 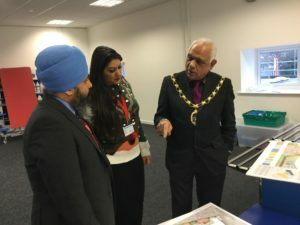 Local Sikh parents seemed keen to send their children to faith schools which we could see within the local Catholic, C of E, Jewish and Hindu faith schools. This resonated with a few of us. 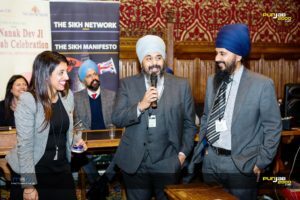 We started looking into how we can go about setting up an educational institute that projects Sikhi and benefits the entire community not just Sikhs. Parents now have a choice of a Sikh faith school in East London which they never had before. Q. You have recently become the presenter of a show discussing Mental Health on KTV Global channel, What are the challenges that young people face today? A. The Mental Health show came about at the request of the younger participants. It’s an issue which we are all becoming more and more aware of. Being young always presents its challenges, it’s not an easy time adjusting to the pressures of society, I remember going through it myself. A. The answer will always be the Guru Sahiban and Shaheeds of the Panth. Whatever ups and downs I go through, I focus on them and think about the challenges they overcame. A. Sangat begins at home. The Guru Pyare you yearn to meet are often in your own homes. A. My father always involved me and my brother in all his decision making, his highs and his lows. He always took an interest in whatever I would do, always consulted me and always encouraged me to be independent. He was my best friend when I was a child. A big reason why we are still so close. A. Devinder is the family’s moral compass; she wakes up at Amrit Vela before everyone else. She is the main reason why the children are so grounded. She is always measured, realistic and the most empathetic person I have ever met. She looks at things holistically and never gives up. This is why so many people confide in her. The kids have a great Mum. A. BJe the person you want your child to emulate. Never underestimate what a child is observing. You will always be one of their first role models, and they will copy you in many ways. A. Never worry about not having enough hands to help. There have been many times that I have been let down, but the children are always ready to stand by my side. We went through a series of intimidation not so long ago; I realised how brave and resilient children could be. When I felt most vulnerable, they raised my spirits. A. Never give up being a Sikh parent, you are planting a seed, and it may take many years to blossom. 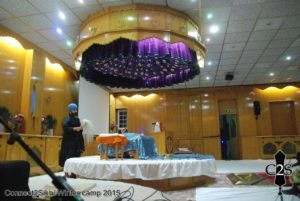 Create a space at home to sit together for Reharas Sahib. 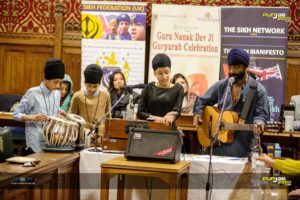 Upgrade your music collection to Kirtan and above all commit to attending the Gurdwara regularly as a family, never lose faith. When I went off the rails many years ago, my mum did a daily Ardaas for me to come into Sikhi. After some years, I subconsciously heard that Ardaas because it changed the course of my life. A. One of the purposes of building a Sikh faith school is to support other parents. Once the build is complete, we are hoping Atam Academy becomes a hub of activity on the weekends supporting all the community. A. Anyone that comes and sits next to me. I pass Mr Singh’s every day on the way to and from work. Believe it or not, I have actually sat on my own in Mr Singhs with a Pizza only to be joined by another random Gurmukh pyara who was on their own. We had a wonderful conversation and shared our Pizza. A. Getting roped into too many projects thereby reducing the time I spend with the kids. I have started becoming realistic and putting the children first now especially as they are getting older. They will be off to University soon, and I don’t want to lose any more valuable time. A. It’s a blessing, and I am thankful to Waheguru every day. 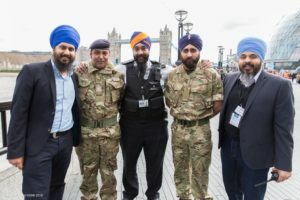 Q. Lastly, with it being Vaisakhi this week and such an important time for Sikhs all over the world, I asked Mankamal Singh to give his thoughts and feelings on what it means to him and his family? 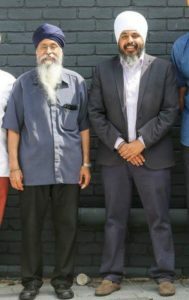 It was an honour for me to interview Mankamal Singh, he is someone that I have known and respected for many years now. His achievements to date speak for themselves, yet he always seems very grounded, that as he mentioned has had a great influence on his children. When speaking about his father and what he had experienced I was truly blown away by his words, having learnt of his experience if I can strive to be even half of that I will be a happy man! I appreciated his honesty throughout, and as young fathers, we are fortunate to look at the generation above us and seek advice from them about their highs and lows. 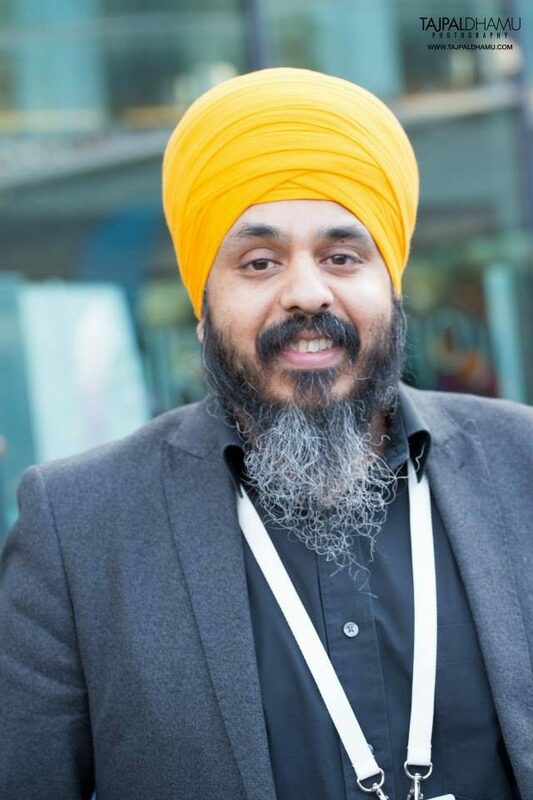 We had the timely bonus this month of Mankamal Singh agreeing to share his thoughts on Vaisakhi, with it being this week I urge you all to watch the full video to see how you can benefit from his experiences and apply them to your family life. I would like to thank Tajpal Dhamu and Punjab2000 for the images used and lastly a big thanks to Mankamal Singh for taking the time out for Sikh Dad.